Whether you are a hopeful parent struggling with infertility or one that simply wants to keep their family-building options open, know that there are several different processes that are available to you. As technologies and society has changed, different ways of building a family have developed and become more popular — giving hopeful parents many paths to pursue. But, how do you decide which one is right for you? Often, research is the first step. You should identify what your personal family-building goals are and learn more about your options to determine whether your needs and wants will be met. Below, you’ll find a description of these methods to aid you in your research process. Adoption is the process through which hopeful parents add a child (usually genetically unrelated to them) to their family. No matter what kind you choose, adoption is a regulated legal process that transfers legal parental rights from one set of parents (usually birth or biological parents) to new adoptive parents. Therefore, you will always be required to work with a lawyer if you choose this family-building process. In private domestic infant adoption, a pregnant woman who is unprepared or unwilling to parent chooses to place her child with a waiting adoptive family. Usually, adoptive parents and prospective birth mothers participate in open adoption contact before, during and after the adoption process. If you are interested in learning more about private domestic infant adoption, please contact American Adoptions today. Foster care adoption involves the placement of an older child into adoptive parents’ home. A foster care adoption can only be finalized once a biological parent’s reunification plan has failed and a court terminates that parent’s legal rights. There are two ways you can choose to adopt a child from foster care: foster-to-adopt or adopting a waiting foster child. If you decide to pursue foster care adoption, you can do so with a foster care adoption agency or your local department of social services. In international adoption, adoptive parents from the United States travel to a different country to adopt a child, often one who is an orphan and living in a home with other children. While the options for international adoption are decreasing, there are still countries which allow foreign hopeful parents to adopt children. Like with your other adoption processes, you can work with an international adoption agency to adopt a child from another country. In fact, this kind of professional is highly recommended. Hopeful parents struggling with infertility have more infertility treatments and family-building options available to them now than ever before. If parents desire a genetically related child, fertility specialists can guide them to the assisted reproductive technology (ART) process that is best for their medical situation. Before selecting an ART method for you, you will need to speak with an infertility counselor and locate a proper fertility clinic. Gamete donations — when a donor gives a sperm, egg or embryo to hopeful parents — are most commonly used by intended parents who cannot create healthy embryos on their own. Intended parents can either find a gamete donation through an infertility clinic or gamete bank, or they may choose an identified donor. An ART attorney will be needed to ensure a donor’s parental rights are properly terminated. Contact a fertility clinic or gamete bank to start the process of finding an egg, sperm or embryo donor for your in vitro fertilization process. Traditional surrogacy is a method through which intended parents work with a surrogate to bring their child into the world. The surrogate’s egg cells are used to create the child (either through artificial insemination or in vitro fertilization), and she is genetically related to the baby that she carries for the intended parents. 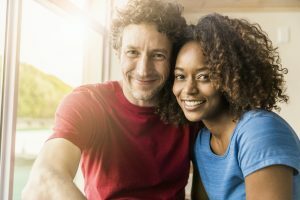 Traditional surrogacy can come with potential legal risks and emotional complications, which is why many surrogacy professionals today will not complete this family-building process. If you are considering traditional surrogacy, speak with others who have taken this path before you begin your independent surrogacy journey. Gestational surrogacy is similar to traditional surrogacy, expect for one big difference. A gestational surrogate is not related to the child she carries, and the intended parents create an embryo of their own or with a combination of donor gametes to be transferred to her uterus. Depending on state laws, a gestational surrogate can receive base compensation more easily than a traditional surrogate. If you are interested in completing a gestational surrogacy, please contact our sister agency, American Surrogacy, at 1-800-875-2229(BABY). We encourage all hopeful parents to speak with a professional, like an infertility counselor or an adoption specialist, when determining the next step in their family-building journey. These counselors are knowledgeable in all of these family-building methods and will work with you to help you find the best option for your family. To speak with an adoption specialist at American Adoptions today, please call 1-800-ADOPTION.